Ben Cardin Is a Hawk. Will Maryland Voters Punish Him for It? The senator’s foreign policy views are being challenged in his Senate primary. President Donald Trump withdrew the United States from the Iran nuclear deal this week, scrapping one of President Barack Obama’s chief foreign-policy accomplishments. Obama broke his usual silence and called it a “serious mistake,” and congressional Democrats excoriated Trump for making an armed confrontation with Iran more likely. But sitting awkwardly below that outrage is the fact that some of the party’s top elected foreign-policy minds voted against the Iran deal when it came before the Senate in 2015. Senator Ben Cardin is a prime example: As the ranking member of the Senate Foreign Relations Committee, Cardin cast a “no” vote and wrote a Washington Post op-ed that criticized the deal in the same terms the Trump administration now uses, writing that it “legitimizes Iran’s nuclear program.” He arguably did more than any other Democrat to discredit the accord. For Cardin, taking the more bellicose stand is nothing new. “He’s one of the most hawkish Democrats on foreign policy at a time when the progressive wing of the party is very much in ascendance,” one Democratic Senate aide said. With a reelection bid looming this fall in one of the most liberal states in the country, will Cardin pay the price for his increasingly out-of-touch foreign-policy views? While it’s not at all likely any of his opponents can beat him, Cardin clearly appears to be feeling the heat ahead of his June 26 primary. Cardin’s positions on the Israeli-Palestinian dispute are particularly unpopular among many progressive activists. Last year, Cardin authored legislation that would criminalize certain participation in boycotts of Israel and the settlements. The Israel Anti-Boycott Act, which the American Civil Liberties Union deemed unconstitutional, has struggled to gain traction with the majority of Democrats and liberal groups, who oppose it for impinging on Americans’ speech rights. Even for those who disdain the Boycott, Divestment, and Sanctions campaign, like Senator Cory Booker (who’s called it an “anti-Jewish movement”), Cardin’s bill is too extreme to support, and Senator Kirsten Gillibrand rescinded her co-sponsorship of the measure. Cardin also introduced a Senate resolution last year condemning the Obama administration for allowing passage of a UN Security Council resolution that demanded Israel stop expanding West Bank settlements. For years, postures such as these have meant Cardin was a staunch ally of the American Israel Public Affairs Committee, the highly powerful DC lobby group that advocates the Israeli government’s positions in Washington. In part, Cardin’s appearance at the J Street confab was a simple matter of a senator recalibrating his relatively unpopular foreign-policy views in an election year, or at least giving the appearance of recalibrating them. But J Street has also undergone its own transformation in the Trump era to some extent—and one that likely made it more palatable to Cardin. J Street has broadened its exclusive focus on Middle East policy into more of an umbrella “resistance” group with an anti-Trump bent. (Jewish opposition to Trump is exceedingly high—a poll last year found that 77 percent of American Jews disapproved of him.) Two recurring themes at this year’s conference were the organization’s opposition to Trump’s immigration policies, and his appointments of Mike Pompeo as secretary of state and John Bolton as national security adviser, both of whom have long-standing ties to anti-Muslim groups. 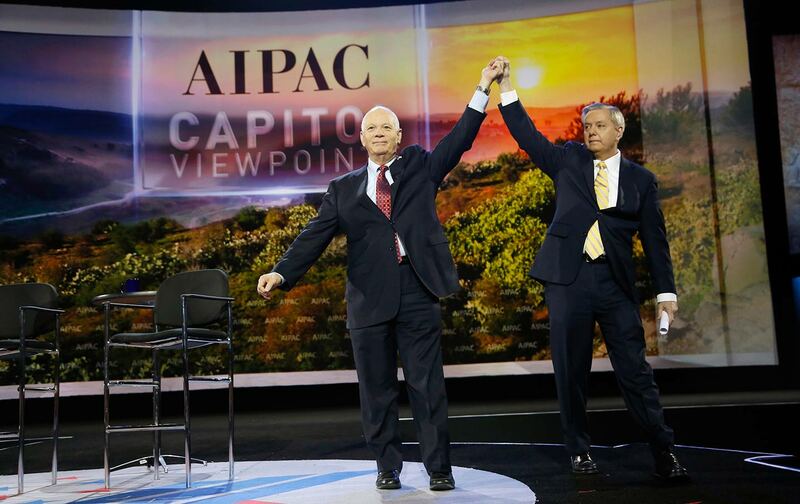 AIPAC’s efficacy is due in large part to its singular focus on US-Israel relations, and some observers worry that J Street is weakening its hand by expanding its platform and inviting a figure like Cardin to give a speech at its main event. “That makes J Street less effective,” said one Democratic strategist who frequently works on US-Israel issues. “A true J Street should be a hostile place for someone like Ben Cardin. If you really are a single-issue organization like AIPAC or the NRA, somebody who not only voted against but led the effort against their signature policy issue would not be welcomed.” Indeed, Cardin dedicated a fair amount of his speech to matters outside the realm of Middle East policy. Cardin isn’t exactly facing a competitive primary—the race garnered brief national attention when Chelsea Manning declared her candidacy, but she does not appear to be running a real Senate campaign in any meaningful sense. And Cardin remains popular anyhow. “Some people have individual-vote issues with Cardin, but he’s in good standing with all the core constituencies,” said John Willis, a University of Baltimore politics professor and Maryland’s secretary of state from 1995 to 2003. But there is one candidate who wants to put Cardin’s Middle East record on the ballot: Longtime political activist and University of Maryland philosophy professor Jerome Segal is running on that single issue. That’s been Segal’s mission since 1989, when he founded the Jewish Peace Lobby, which advocates a two-state solution. “It was J Street before there was a J Street,” said Segal, who gained notoriety in 1987 when he met with former Palestinian leader Yasir Arafat to create a diplomatic channel for negotiations with Israel, and later inspired the Palestine Liberation Organization’s Declaration of Independence in 1988. For those efforts, the Palestinian Al-Quds newspaper endorsed his candidacy, the first time it has ever thrown its support behind a US Senate candidate. After some lackluster fund-raising, Segal recently injected $1.3 million into his campaign to use on television advertising in the three weeks before the election on June 26. (He’d already spent $74,000 on the race.) Few people in Maryland politics think Segal can win, but an aggressive television presence could force some more scrutiny on Cardin’s foreign-policy views. And with former NAACP chair Ben Jealous running for Maryland governor, potentially galvanizing the state’s most progressive constituencies, Segal could collect some support from an ideological base bent on challenging the status quo. But another obstacle Segal faces is himself. Known for his irascible nature, the veteran peace activist hasn’t effectively built a coalition of allies or real campaign infrastructure. He’s also gotten into testy, self-destructive exchanges with progressive groups whose support he wants—and with reporters he feels should be covering Cardin more critically. 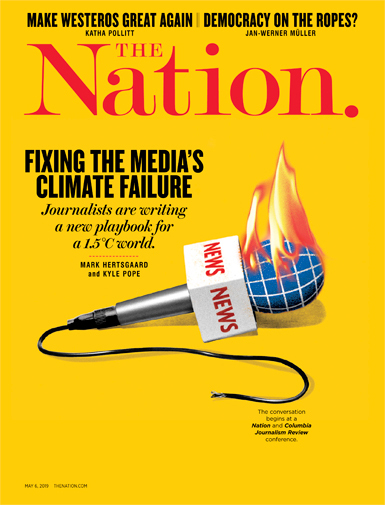 He recently sent a scathing e-mail to a reporter who wrote about Cardin’s J Street speech—with almost 30 other reporters copied—accusing him of not being “a competent professional” and of being “lacking” as a human being. Segal was also ejected from the J Street conference after a conflagration with the group’s staff. If Cardin is reelected, which is overwhelmingly likely, he will remain one of the top Democrats on the Senate Foreign Relations Committee—maybe even helping the party wield majority control, if the blue wave crests that high. So the critical question will be: How much has he really moderated his foreign-policy views, if at all? He has offered some signs that aren’t too promising. Tellingly, Cardin’s only mention of settlements in his J Street speech was in reference to the United States’ long-standing position that they are “unhelpful” to the peace process. Notably, he didn’t say that he sees settlements as detrimental to the emergence of a Palestinian state and the long-term survivability of Israel as a Jewish-democratic state. Despite Cardin’s recent overtures, there remains a glaring truth: If that were to happen today, President Bush might be a little less lonely. He’d at least have J Street. But Cardin would probably still be with those 1,000 lobbyists. Eric CortellessaEric Cortellessa is a DC correspondent for the Times of Israel.